On a cold day in January 1937, the body of nineteen year old Pamela Werner, daughter of an elderly ex-consul, was discovered near the Fox Tower in Peking with her heart ripped out. 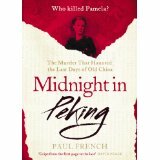 Paul French’s book, Midnight in Peking, follows the abortive investigation into the crime, brings new evidence to light, and offers a solution to the mystery. It was fascinating to read this actually in Beijing where some of the old hutong (narrow streets lined with courtyard houses) that are described in the book still remain. French draws a fine picture of life in the capital in 1930s, and his depiction of the sleazy side of the city and of ex-patriate life is very convincing. His research has been very thorough and what makes the book is his discovery of an investigation carried out by Pamela’s father when the official one had failed. He wrote again and again to the Foreign Office detailing his findings and French discovered the cache of letters and it is these that allow him to suggest a solution. The book was gripping and some of the evidence was compelling, but still I wasn’t quite convinced. Some loose ends were left – perhaps inevitably. This wasn’t an easy read, and rightly so: what happened to Pamela was horrible. Perhaps my unease stemmed from the fact that I don’t read much true crime. I kept reminding myself that these things happened to an actual person – and not so long ago. Pamela’s life was not only very short, but very sad. She was adopted and her adoptive mother died when she was only five. That feeling of sadness is what I am left with. 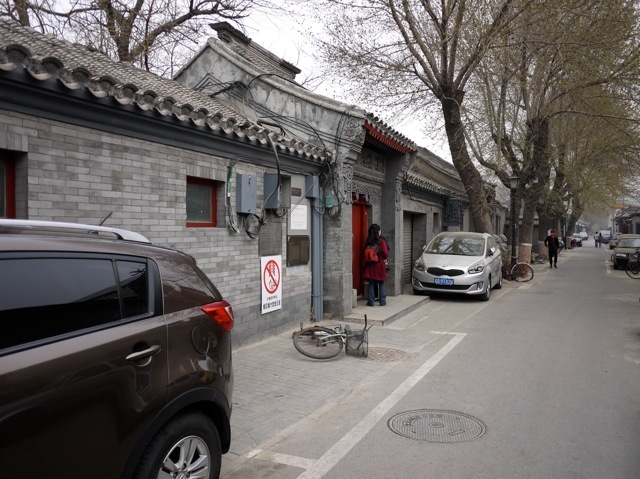 Here’s a picture of a hutong today.